A monthly Welsh-language music periodical intended for young people. The periodical's main contents were compositions, published as a supplement, alongside articles and news on music and musicians. 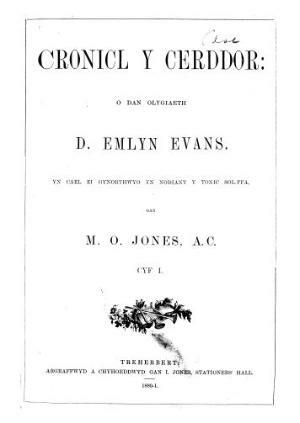 The periodical was edited by the musician David Emlyn Evans (1843-1913) with the musician, writer and schoolmaster, Moses Owen Jones (1842-1908) serving as deputy editor, with responsibility for the tonic sol-fa sections.